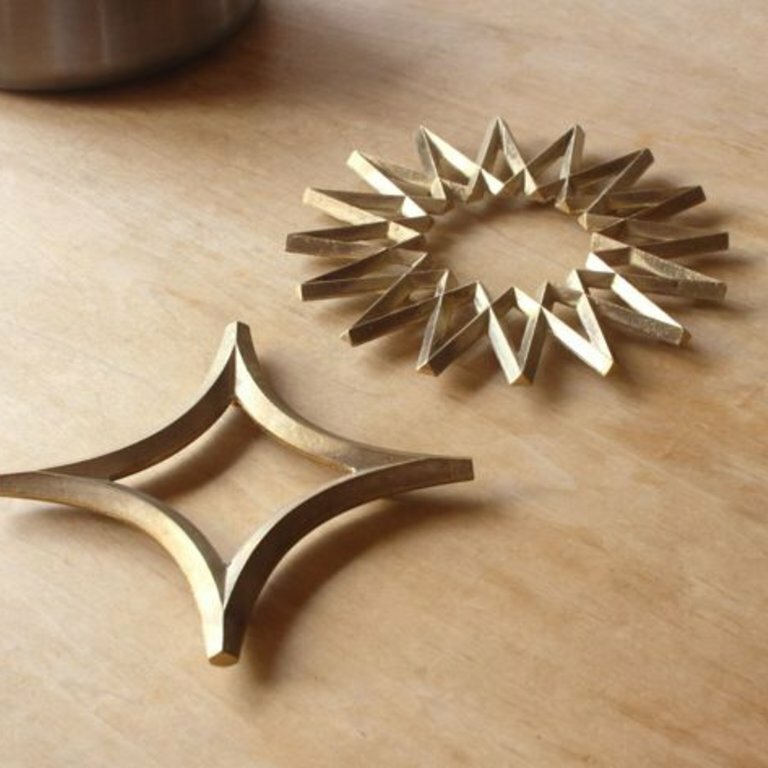 Use these handmade brass trivet to protect your table from hot dishes straight out of the oven. Looks beautiful underneath a teapot as well. Its diameter is ø 15 cm. Made by Futagami and designed by Oji Masinori. PLEASE NOTE THAT THIS PRODUCT IS CURRENTLY MADE TO ORDER AND HAS A PRODUCTION TIME OF 2 MONTHS. 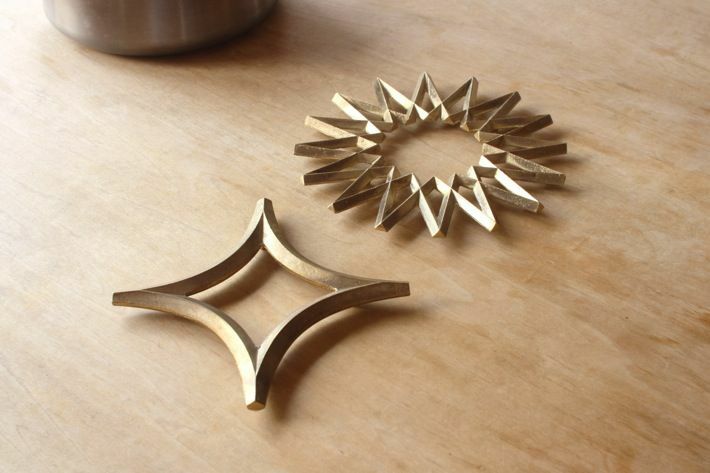 Use these handmade brass trivet to protect your table from hot dishes straight out of the oven. Looks beautiful underneath a teapot as well. Its diameter is ø 15 cm. The Star trivet is the left trivet on the picture. The right trivet is the galaxy design. This is an eclipse shaped bottle opener. Equally strong as beautiful. Take it with you for a picnic in the park or give it is own place on your table. The opener measures 57 mm (w) x 76 mm (l) x 6 mm (h). This is the most elegant spice spoon we have ever seen. Size 11 mm (w) x 100 mm (l) x 6 mm (h).